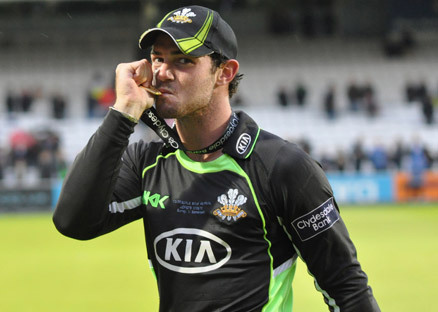 Tom was born in Cardiff on March 25th 1989, a son to England and Glamorgan cricketer Matthew Maynard and his wife Sue. He grew up in Wales, attending Whitchurch High School in Cardiff alongside fellow alumni Gareth Bale and Sam Warburton. After leaving Whitchurch Tom went to Millfield School, where he met and became close friends with former Surrey captain Rory Hamilton-Brown. His cricketing ability was very clear from an early age and Tom rose rapidly through the Glamorgan age group system, playing for the U17s aged 15, representing the Welsh Minor Counties side aged sixteen and making his full debut in 2007 against Gloucestershire, hitting 71 from 75 balls in a match in the Friends Provident Trophy. After making his first-class and T20 debuts later that year, Tom continued to grow as a player, making some memorable contributions with the bat and further establishing his reputation as one of the brightest young talents in the game. 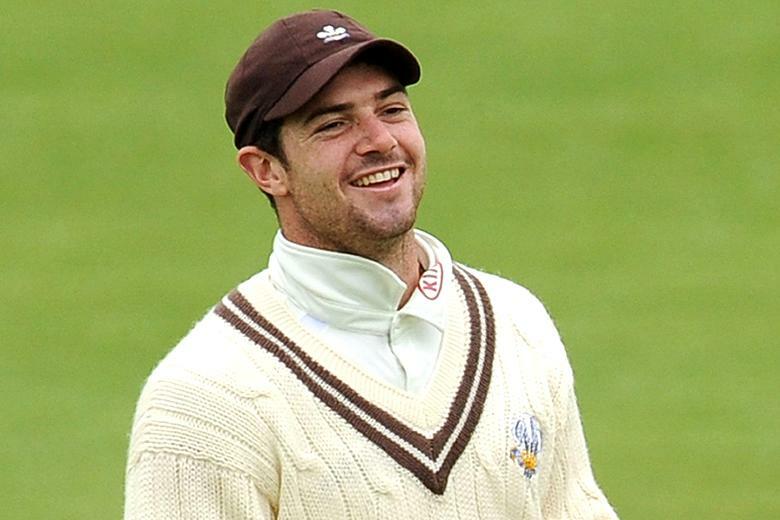 He joined Surrey in early 2011, immediately becoming an immensely popular member of the dressing room and quickly establishing himself in the Surrey side for all three formats of the game. With his natural skill combined with an intense work ethic and his ability to pick things up quickly, Tom impressed throughout his first season at Surrey, scoring an emotional maiden first-class century when the club played Glamorgan in Cardiff. He also became the club’s leading T20 run scorer and frequently demonstrated his enjoyment of taking on responsibility, none less than when he guided the club to the Clydesdale Bank 40 final as he hit a memorable 60 from just 33 balls in the semi-final against Sussex. On top of his performances with the bat, Tom was an outstanding fielder and fantastic team player, contributing across the board at all times. He ended the season on a high, scoring a vital century in Surrey’s victory over Derbyshire that clinched promotion back to Division One and then left for Bangladesh after deservedly securing a place on the England Lions winter tour to Bangladesh. Already in 2012 Tom had scored a crucial century against Worcestershire and currently sits in second place in the club’s first-class averages for the season. Away from the field he was a hugely popular figure, held in very high regard by players, office staff and everybody involved with the club. We are frequently asked whether it is possible for people to view some of the many tributes which came out around the time of Tom’s death, including occasional newspaper articles and even some of the personal tributes at his funeral last July. We have managed to pull some of these together and include them here. We will add to them where appropriate. Hopefully they provide some fond memories of Tom.